A PART of me would like to muster the necessary ubuntu to sympathise with people who argue that KPMG should not be allowed to fall as a result of bad conduct by, ostensibly, only a few senior consultants. Accordingly, it would not be fair to make the claimed 95% of the KPMG employees, who apparently are honest and hard-working people, pay for the sins of a handful of unethical, unprincipled, senior managers. 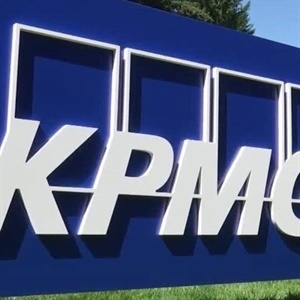 The Reserve Bank of South Africa has also stepped in to argue, reportedly, that KPMG should not be allowed to fall because of the impact such an occurrence might have on the country’s entire banking industry, as each bank has to be audited by two major auditing firms at any given time. In addition, it is argued that were KPMG to be thrown out of the system, thousands of people would be without jobs and there would be no one to immediately take its slot in auditing South Africa’s banks. While all these arguments are being made here at home, a report has emerged out of Botswana alleging that KPMG in that country has also been caught up in a bank’s 200 million pula (almost R263m) accounting scandal. For three years, the report alleges, KPMG Botswana falsely signed off the defunct Kingdom Bank as solvent when it was not. The bank’s liquidators are now demanding this amount from KPMG, and other questions are being asked about its adherence to ethical auditing principles. Later, I shall address the conflict that resides in auditing firms also acting as accounting consultants to the same organisations they’re meant to audit, in order to increase revenue streams, and the problem with the absence of rotation of audit firms. Back here in South Africa, KPMG didn’t take long before it proceeded with what I call a strategic amputation of the ostensibly “few” senior consultants – about seven of them – and former CEO, Trevor Hoole, who were said to be the bad apples in an otherwise clean cart. Strategic amputation is a process that consists of a troubled organisation firing, or encouraging to resign, or not stopping from resigning, a few individuals in an attempt to save the organisation from potential criminal and reputational scrutiny. This is similar to when a cancerous cell gets surgically removed from the body to stop the cancer it carries from spreading to other organs, except that in the case of KPMG, this appears to be a cynical, not a punitive, move. Bell Pottinger tried it when it fired senior partner Victoria Geoghegan, and suspended three more consultants working on its Oakbay account in South Africa when media and civil society scrutiny became unbearable. When strategic amputation failed to do the trick, CEO James Henderson was allowed to fall on his sword, but this too failed to save the PR consultancy from an unstoppable onslaught by media and civil society movements in South Africa, and massive cancellation of its contracts with reputation-wary clients elsewhere. KPMG accounts in South Africa are by no means small. Going by all the reports that have been made public through media leaks, the firm has earned hundreds of millions of rands since arriving in the country. Accounts of this size are rarely ringfenced for the visibility of a few consultants only. Like Bell Pottinger, SAP, McKinsey and other consulting firms with headquarters in other parts of the world, there would have been regular performance reports shared with principals elsewhere in the world. Because of the size of the accounts held and, one would expect, the nature of the clients – especially those who are politically exposed – there would also have been regular reputational risk assessment on the accounts. For me, the assignment of blame to only a handful of individuals doesn’t make sense. There is no way in the world that the eight people who have been strategically amputated constituted the entire KPMG teams that had sight of and worked on the accounts for SARS, the Redisa tyre recycling fiasco, Oakbay, etc. This is why I find it hard to embrace attempts to restrict knowledge and malfeasance to the people who left the company. The fact that complaints about the firm are beginning to emerge elsewhere, starting with Botswana, suggests that greed and unethical conduct might be running free throughout KPMG’s corporate bloodstream. It would be a travesty of honesty to let the firm get away without telling us, the people of South Africa whose public funds have been stolen in the billions, the whole truth about what else it has been made to enable in recent years. If it fails to do so, more material might end up being leaked from within or by default as wrongdoing by more clients get exposed. Auditing and consulting services should be treated as church and state. They should be kept apart from each other. I support the call by South Africa’s Independent Regulatory Board for Auditors (IRBA) for a regular rotation of auditing firms. Such a practice would not only create a conducive environment for the transformation of the sector by creating space for new players; it would also ensure that the same auditing firms do not remain with the same clients for many years and, in the process, give in to the temptation to falsify reports in order to keep their accounts. A rotation would mean that whatever wrongdoing they might get involved in would be found out by their successors. There would have to be legal obligation for auditors to report any suspected malfeasance by their account predecessors. Many seem to forget that much of the reported wrongdoing by KPMG involves public funds. They also neglect the dots that connect the movement of such funds to people who are suspected of being enablers for the ongoing state capture, a massive, organised, crime involving powerful politicians and their network of henchmen and women inside and outside the public sector, all acting against the interests of South Africa. In a country with the history that we have, individuals entrusted with political oversight, administrative management and accountability over public funds aimed at lightening the historic yoke of poverty from the shoulders of poor people should not be allowed to get away with abuse. In this environment, auditing firms have an indispensable role to play. Their mere presence provides the general public with an additional layer of assurance that those managing their funds will not get away with falsifying reports. When audit firms choose greed over the emotional trust invested in their brands by members of the public, the world as we have known it takes a whole new, unpleasant, meaning. KPMG should not be allowed to get away with a simple strategic amputation of a few individuals without a full disclosure. It should be fully investigated by an independent and credible body that is not briefed by people implicated in state capture. If found wanting, it must leave South Africa. In its ashes another, more ethical and values-driven auditing firm will arise.